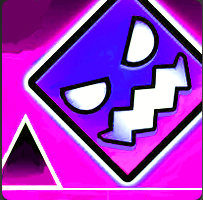 In Geometry Neon Dash Subzero game, you try to guide a neon square safely through tracks full of spikes, saws and other obstacles which can kill you. In this episode, you are playing through a series of frosty levels packed full with dazzling neon lights. As usual, your cube moves automatically and you must simply control the jumping motion. Jump at the right moment and don't forget to collect balls to unlock more characters. Have fun with Geometry Dash Neon Subzero!